Congrats To Our Female MOM—Virginia! Virginia trains 4-5 times a week and it is all paying off in dividends. Her consistency and work ethic has been the reason behind all her improvements. 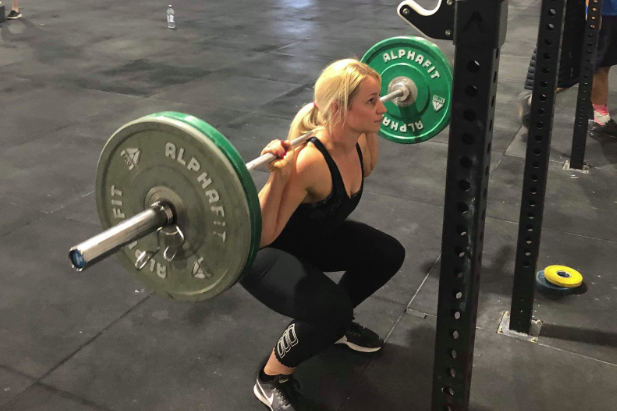 She has shown huge progressing in her technical lifts, strength and cardio conditioning—and is a member that trains hard in every session but with a smile on her face. We appreciate her so much for being a valuable part of our community by being a friendly face, welcoming to everyone, hard worker and getting amongst community events.